On December 27 while much of the nation was on vacation, the Bush administration quietly announced a rollback of regulations that would have prevented companies with a history of environmental or safety violations from receiving government contracts. According to the Washington Post, a congressional report had identified $38 billion in contracts in one recent year, awarded to 261 corporations whose work sites were unhealthy or unsafe. Former President Clinton signed the rules into law toward the end of his term in office, eighteen months after they were drafted, and several months after a report by the Associated Press showed that hundreds of vendors and service providers were technically eligible to receive contracts, despite convictions or lawsuits on charges including fraud. "To ordinary citizens who play by the rules every day, the Bush administration has said that it's OK for corporations that violate the law to be rewarded with millions of taxpayer dollars," an AFL-CIO spokesperson told the Associated Press. To the delight of the right, rolling back the regulations represented a simultaneous slap in the face to labor and environmentalists. Environmental groups largely fell silent after September 11. Meanwhile, hiding behind the fog of war and the banner of partisanship disguised as patriotism, the administration quietly promoted exploitation of labor and the environment by its big-business cronies. Approving the largest timber salvage operation in the nation's history in the Bitterroot National Forest. This openly avoided a public appeals process, and has since has been halted by the courts. In October the administration took away the power of federal land managers to veto proposed mining operation if they threatened landscapes or water resources. The Bureau of Land Management subsequently sold leases for oil development in Utah's Lockhart Basin, just outside Canyonlands National Park. Environmentalists are suing over these leases and ten others in southern Utah. Johanna Wald, a project director for the Natural Resources Defense Council, a plaintiff in the lawsuit said "We are talking about leases in lands that are among the wildest, most scenic or most remote in southern Utah, in an area internationally known for wildness, remoteness and beauty." Oil development leases were also sold in Colorado's Vermillion basin, which conservation groups have long sought to preserve. Interior Secretary Norton also rescinded a Clinton administration ruling that prohibited a Canadian company from digging an open-pit gold mine in California's Imperial valley. The Quechan tribe, which considers the site to be sacred ground, filed suit last week challenging the decision. According to the LA Times, the "administration is expected to give major polluters a variety of exemptions from a costly Clean Air Act requirement that plants install updated pollution controls when they renovate." William Kovacs, vice president of the U.S. Chamber of Commerce said that administration officials "tell us that we will like it." S. William Becker, executive director of the State and Territorial Air Pollution Program Administrators and Assn. of Local Air Pollution Control Officials told the LA Times "The kinds of changes that the administration is seeking are ones that could have a significantly detrimental impact on the environment." Sources briefed by administration officials reported that the administration will waive requirements that plant renovation projects include new pollution devices. "I think Sept. 11 has strengthened the forces at the White House and Energy Department and the business groups that are anti-clean air," Frank O'Donnell, executive director of the nonprofit Clean Air Trust said. "It's going to mean terrible news for the breathing public." On the labor front, the administration reported earlier this month that it was still considering closing 10 regional offices of the Labor Department's Women's Bureau. 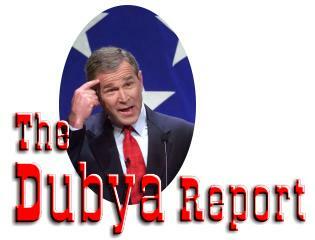 The recent moves actually continue a trend established early in the Bush administration. Assisted by lobbying from the office of Secretary of Labor Elaine Chao, Congress last year repealed Clinton-era ergonomics regulations that had mandated changes to reduce worker injuries. "Instead of taking an opportunity to build on progress made during the Clinton administration, the Department of Labor under President Bush and Secretary Chao seems intent on unraveling those gains," AFL-CIO President John Sweeney said. The White House Office of Women's Initiatives and Outreach was closed a year ago. Symons, Joanne "View from the Hill: Office Politics" Executive Female. Jul. - Aug. 2001. Brenda Kamen contributed source material for this article.